Making sure that the details you have for the children in your church are accurate and up-to-date helps to ensure their safeguarding and keep your children's workers informed about how best to look after the children in their care. 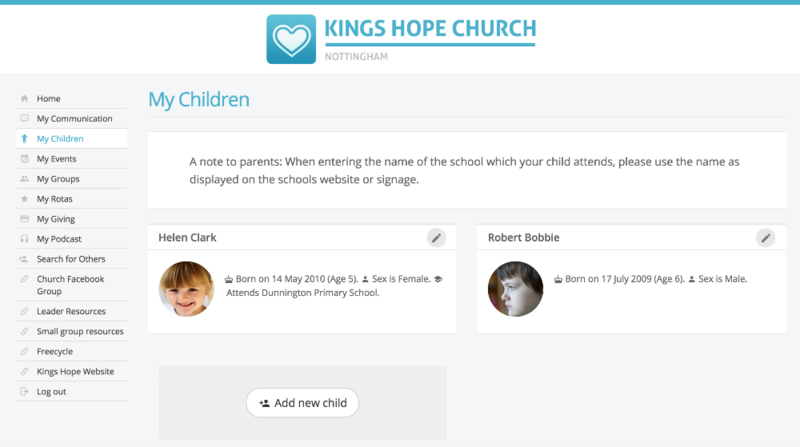 My ChurchSuite already allows parents to update the details of any children that have been linked to them through ChurchSuite. Subject to your My ChurchSuite settings, parents can also be given the ability to add new children directly through the "My Children" section. 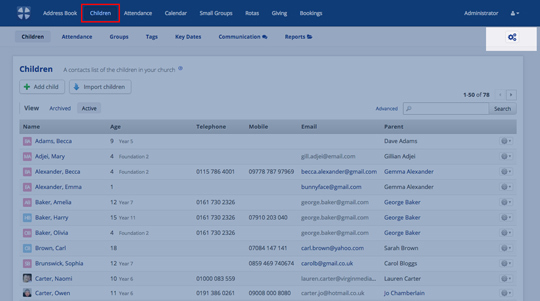 This allows parents to enter the details of any new additions to their family as soon as they are ready to introduce them to the church, whilst at the same time leaving one less job for for your admin team! 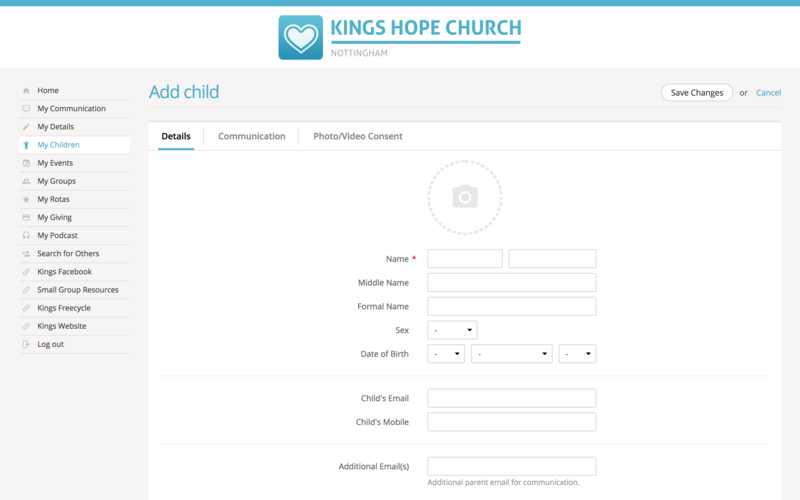 Before your My ChurchSuite parents can begin inputting the details of their new children, you will first have to decide who you wish to make this feature available to. Begin by accessing the Children module and clicking through to the "Module Options" section (click the cog-wheels in the upper right hand corner of the page). Next, click through to the "My ChurchSuite" tab. Then scroll down to the "Adding Children" section. "No one can add new children"
Select your preferred option and then click "Save Changes". If you choose to retain the default setting of "Allow anyone to add their children", then when parents log into My ChurchSuite and access the "My Children" section they will see an "Add Child" button (if you selected the "Allow existing parents to add additional children" option then this button will only appear for people who are already linked to one or more children in ChurchSuite). Parents will then be presented with a screen where they can enter all of the relevant details for their child, including medical and special needs information, communication preferences and photo/video consent. When the parent save the changes, a record will be added to the Children module in ChurchSuite for the new child and the child will automatically be linked to the parent(s).